Robocalls, rallies, even an offer by Governor Malloy to make a Republican his next pick to the state's Supreme Court couldn't prevent Andrew McDonald's chief justice nomination from going down in flames. Despite the efforts to get them to break ranks, Republicans in the state Senate stuck together Tuesday against McDonald's nomination, ending the highly politicized judicial confirmation battle. 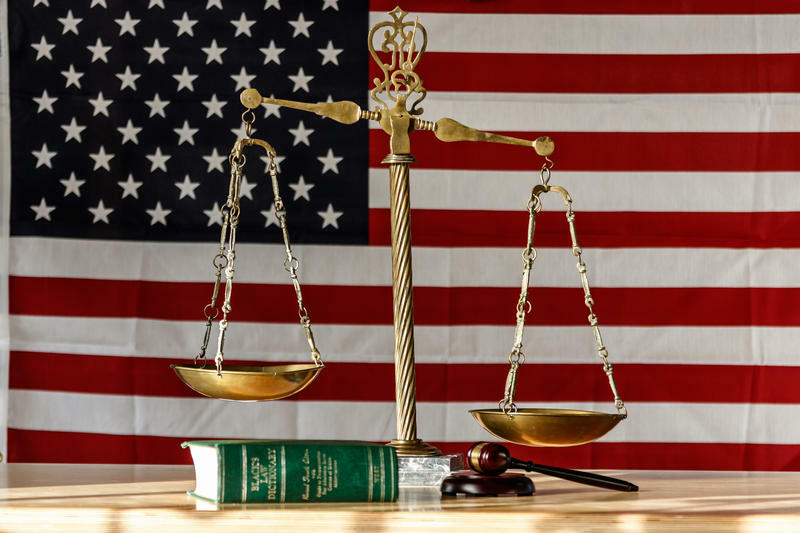 This hour we forecast whether this clash may lead to more heated partisanship over judicial appointments in Connecticut's near future. Also, a little more than a month away from state party conventions, are either the Republicans or Democrats any closer to having front-runners in the race for governor? Today we assess which candidates are moving ahead and which are not. 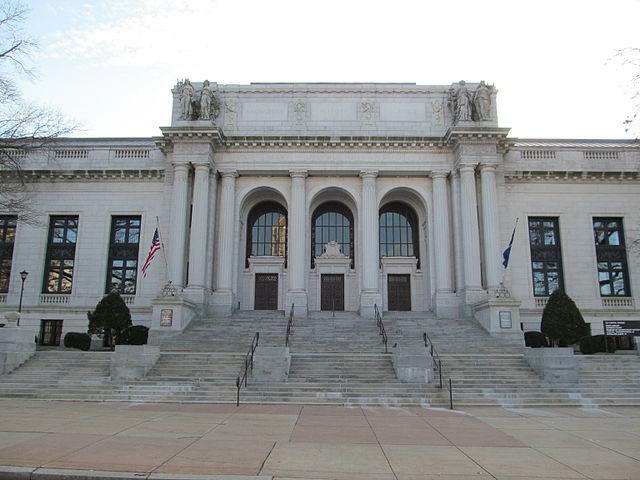 Connecticut Senate Republicans said they have the votes to block Democratic Governor Dannel Malloy’s nomination for chief justice of the state supreme court. 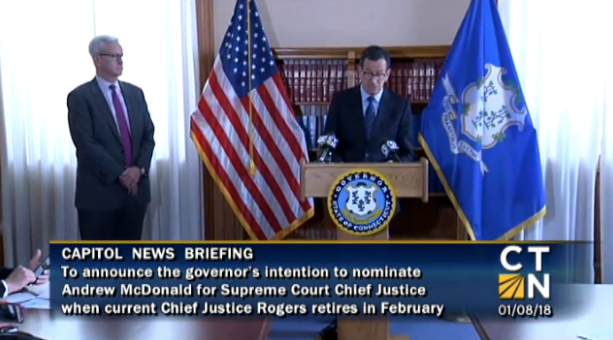 But Malloy is still insisting that the senate hold a vote. Firearms manufacturer Remington Outdoor has filed for Chapter 11 bankruptcy protection in hopes of staving off creditors amid a slump in sales and public outcry over gun violence. 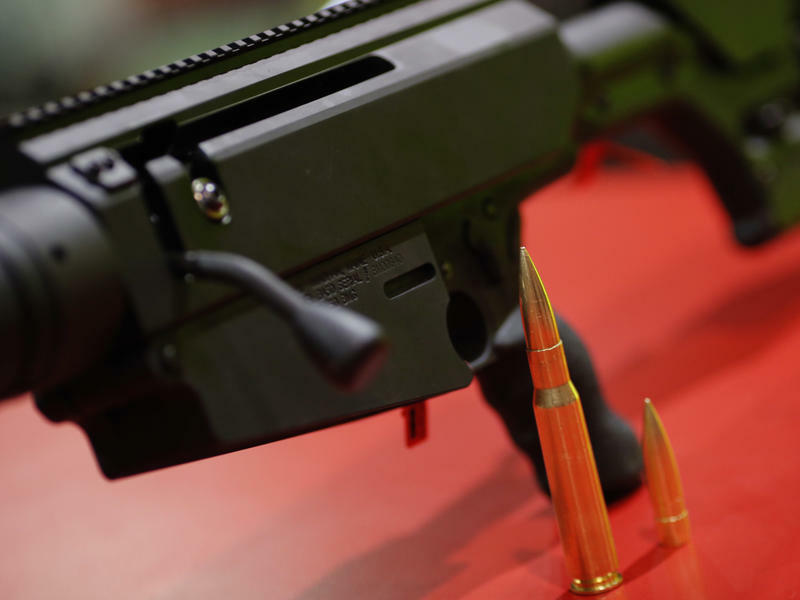 Reuters reports that Remington's creditors, including Franklin Templeton Investments and JPMorgan Asset Management, have agreed to exchange debt for equity in the company. Remington was founded in 1816 in upstate New York and is one of the largest and oldest U.S. producers of firearms. It was bought in 2007 by Cerberus Capital Management for $118 million. The Wheelhouse: Will Supreme Court Justice Andrew McDonald Be the Next Chief? The Connecticut House voted to approve Connecticut Supreme Court Justice Andrew McDonald to be chief justice Monday by one vote. The next stop is the Senate, where Republicans will have a one-vote majority after Democratic lawmaker Gayle Slossberg recused herself last week.